After two consecutive seasons of finishing near the bottom of the Eastern Conference, the Orlando Magic want to regain some respectability as a franchise, and will be looking for more than just young players this offseason. 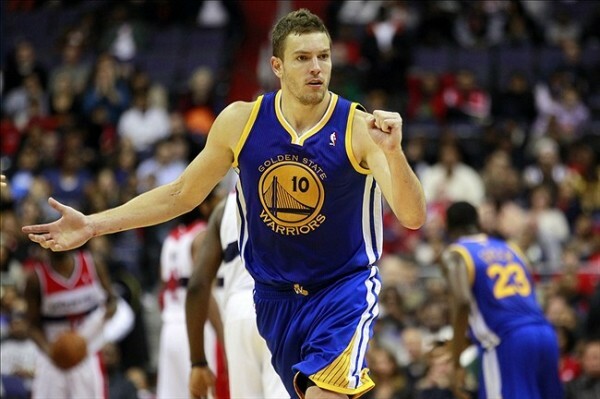 Aside from their hopes of landing a great player in the upcoming draft, they’ve been showing quite a lot of interest in David Lee, who the Golden State Warriors are willing to trade. Lee has two more years of $30 million on his contract left. That’s a deterrent for quite a few teams, but Lee is one of the more reliable number producers in the NBA with 18.2 points and 9.3 rebounds last season, in which he missed 13 games although the injury doesn’t seem to be something that will keep him off the courts for the long term. The Warriors are interested to use Lee as a part of a deal that lands them Kevin Love from the Timberwolves, but often an initial trade idea develops into something completely different. Like the Bobcats last season, the Magic want to stop being bottom feeders and slowly move up the ladders and start combining proven veterans with their developing youth. The Magic are quite weak at the Power Forward position, but they might not have the talent or the specific players to get the Warriors interested. Steve Kerr probably wants a stretch four kind of player to play for Lee. Lee has no range, while Kevin Love offers plenty of it while giving the same rebounding numbers, and the same non-defense Lee usually “provides” on the floor. The Warriors would like to send Lee and Harrison Barnes for Love, but the Timberwolves would like Klay Thompson, which the Warriors aren’t willing to let go of. Maybe in a deal that involves more than two teams and includes Arron Afflalo in the deal as well, a player the Magic have been considering trading for quite some time, there’s a chance for them to get Lee while the Warriors loosen up on Klay Thompson, pleasing everyone except for the Timberwolves, who will be unhappy no matter what they get for giving up Kevin Love.